The new long rear trunnion rivets have a slightly shorter head and the cupped tool that supports the rivets will need to be sanded down to keep the tool from touching the receiver. Be sure to check this before installing the new black rivets. D- Short Non-Swell Rivet for Flat Front Trunnion Holes, Front Four Rivets on Trigger Guard, Rear Rivet on Trigger Guard if using reinforcement plate and pistol grip mounts on Yugo's. 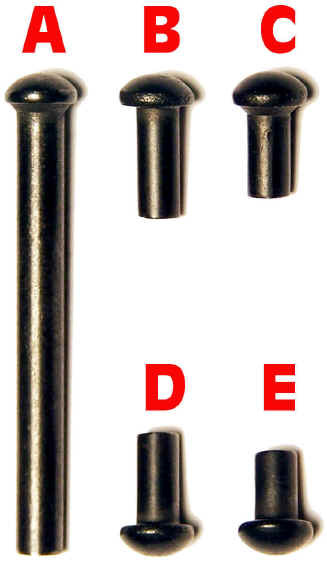 E- Shortest Rivet for Rear of Trigger Guard on Non-Yugo's or when not using a reinforcement plate. The new long swell neck rivets for these were ordered to fit any forked rear trunnion. The rear trigger guard rivets will be the shorter length like the originals. For the underfolder and sidefolder sets I will include the short and long rivet in case you will be using a reinforcement plate. 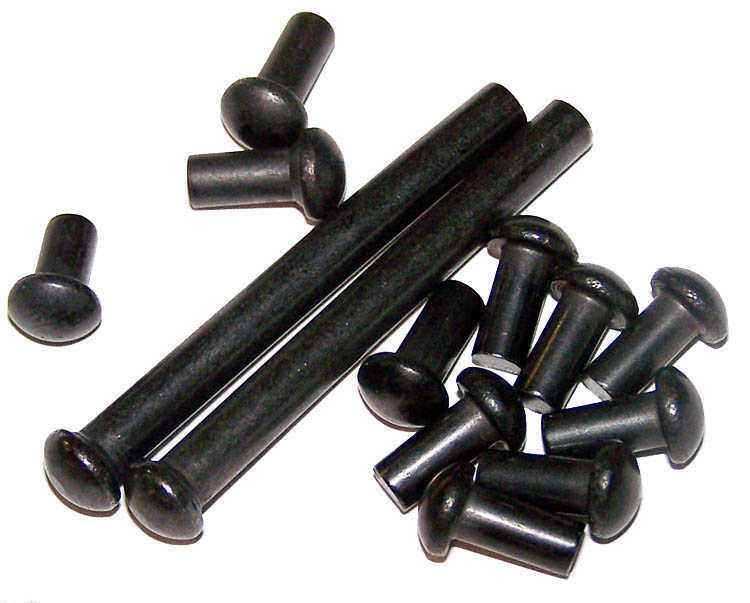 These are original Bulgarian rivets. They measure 1.590".Comes with US made sleeve. May not form as large of a head as our rivets we had in the past.